Join us for the annual Pilates Day! Pilates Day was created by the Pilates Method Alliance. On the first Saturday of May each year Pilates Studios all over the world celebrate Joseph Pilates, his method and living a healthy life. Pilates Day is a great day for those who have never done Pilates to come take a class and fall in love with it. This day is also a great opportunity for experienced Pilates students to try something new or challenge themselves with the Advanced class! 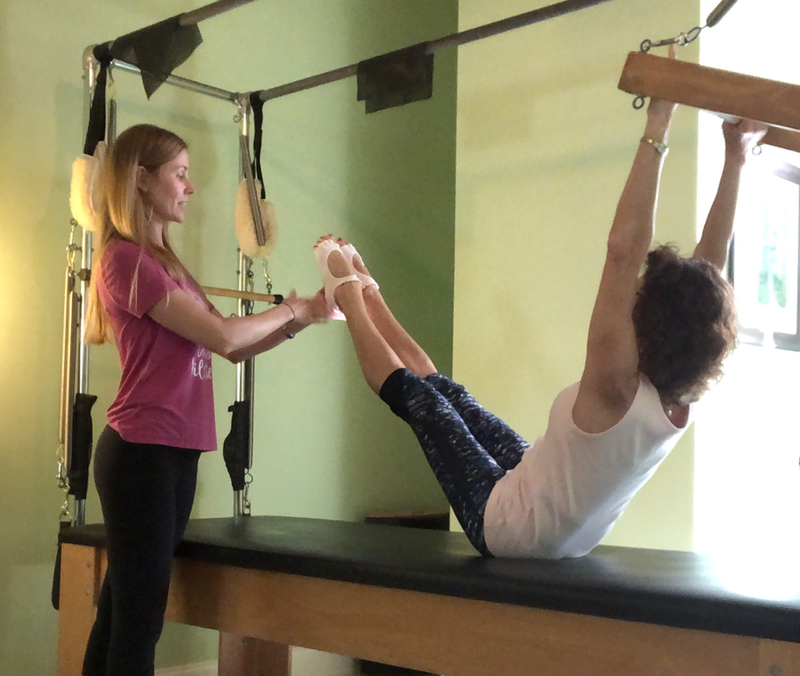 There is no better way to do Pilates than during a one on one private session. During each private session, your workout is catered to your fitness level and personal goals. It is recommended to do a private session prior to joining a group class. Private sessions are scheduled by appointment. We offer a full schedule of group classes. Each class is considered an All Levels class. Modifications are given to those who need them. If you have never taken a Pilates equipment class, it is recommended to do a private session prior to joining a group class. Classes are scheduled by appointment only. You may sign up online or call to reserve your space. Doing Pilates during pregnancy will help keep you strong and flexible. Every workout, whether Mat, Reformer, Tower or Chair, the exercises can be modified to accommodate your stage of pregnancy. If you are new to Pilates, a private session is required to help guide you through a proper prenatal Pilates class. Have questions or comments? I'd love to hear from you!